A very worthwhile course that has given me lots of great ideas for the classroom – Kristina. This course will help you teach primary students how to understand and use persuasive language. You will explore how to use videos and documentaries to assist students with identifying how texts are trying to influence their audience. How to use videos to teach persuasive language and texts. How to explore a ‘big issue’ that will make learning English meaningful to Year 3-6 students. How to use a range of rhetorical devices, including pathos, ethos and logos. How to access free lesson plans and student worksheets. This course will take you 2 hours to complete. Enjoy it in one session or spread it out over a few weeks. You will have ongoing access. This course is on-demand and for private study. Learn at your own pace and at times that suit you. Get a certificate when you finish. WHAT ARE THE CURRICULUM LINKS? IS IT ACCREDITED FOR PD HOURS? 3.3.1 – Include a range of teaching strategies. 3.4.1 – Demonstrate knowledge of a range of resources, including ICT, that engages students in their learning. 2.5.2 – Apply knowledge and understanding of effective teaching strategies to support students’ literacy and numeracy achievement. 3.3.2 – Select and use relevant teaching strategies to develop knowledge, skills, problem solving and critical and creative thinking. 3.4.2 – Select and/or create and use a range of resources, including ICT, to engage students in their learning. students’ literacy and numeracy achievement. 3.3.3 – Support colleagues to select and apply effective teaching strategies to develop knowledge, skills, problem solving and critical and creative thinking. 3.4.3 – Assist colleagues to create, select and use a wide range of resources, including ICT, to engage students in their learning. 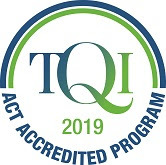 This course is accredited by TQI for 2 hours professional development for teachers in the ACT. Cool Australia is endorsed to provide the NSW Education Standards Authority (NESA) Registered Professional Development for teachers accredited at Proficient Teacher. Mel Rowland helped write this course. She is an experienced teacher who is passionate about driving change to create high-quality learning experiences for students. She constantly reflects on and develops her own practice so she can adapt and grow to suit the ever-changing context of education. While still continuing to work in a range of schools, Mel is also extending herself beyond school to mentor other teachers, write teaching resources and engage with the broader educational community. Chris Vella from Cool Australia is your course teacher. He has worked in the education sector for over 10 years as a classroom teacher and educational consultant. He has also worked at Western Sydney University. Chris loves getting creative with education and supporting others to do the same. As a not-for-profit organisation all revenue from our Professional Development courses is reinvested into providing teachers with the resources to become the designers of exceptional learning. 03. What is English for?